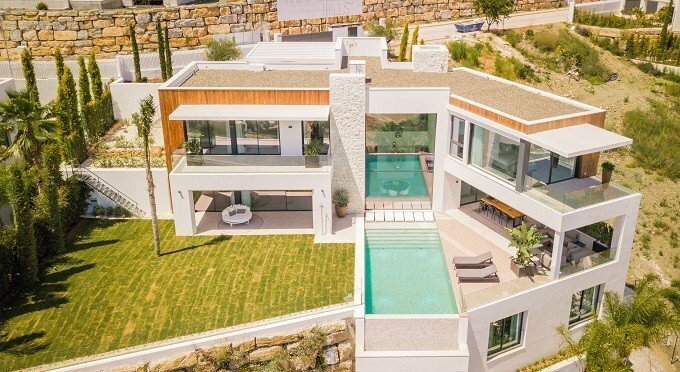 This contemporary and modern villa is finished with wooden facade cladding and natural stone elements. 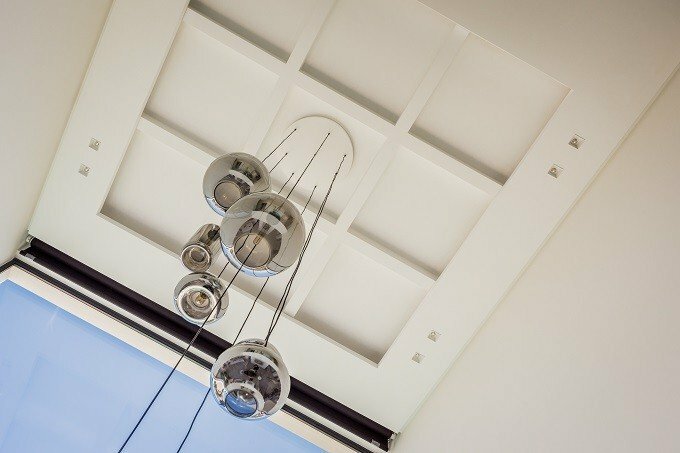 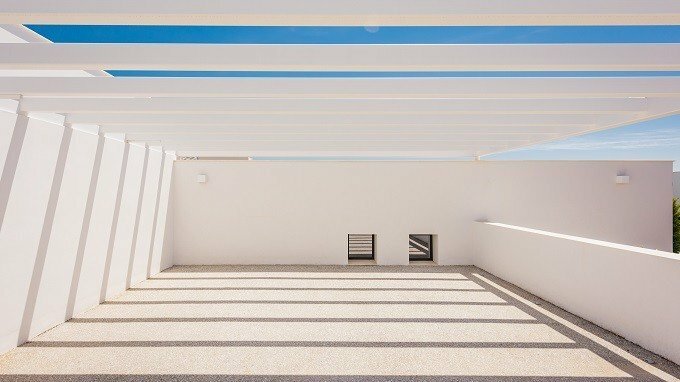 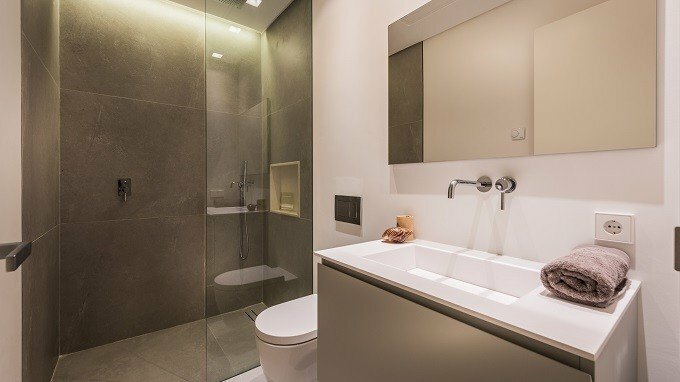 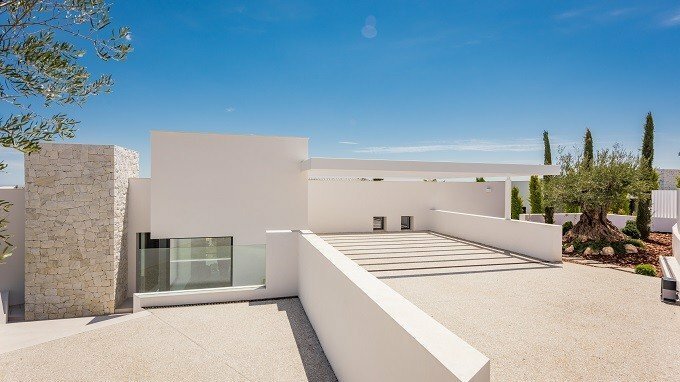 Furthermore equipped with the best installations and use of high quality materials, designed for ease of use and functionality makes this villa truly one-of-a-kind. 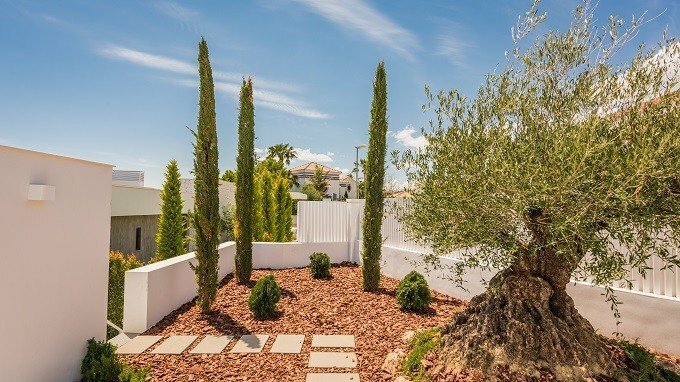 Entering the plot through an automatic sliding door with a separate pedestrian entrance to a double covered carport and beautifully landscaped garden with olive trees and cypresses, securing privacy in a natural way. 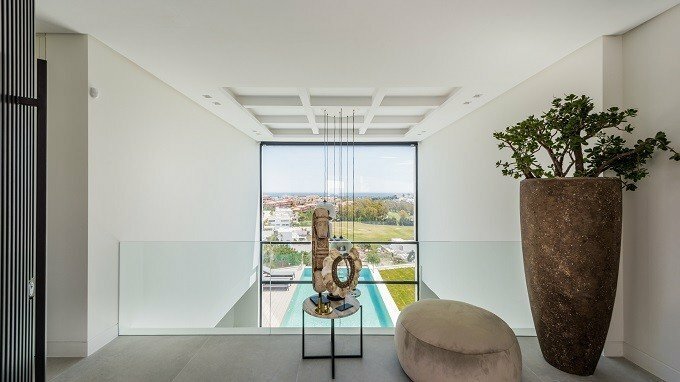 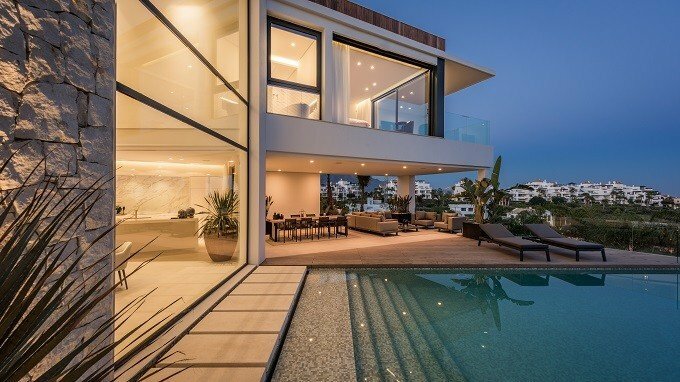 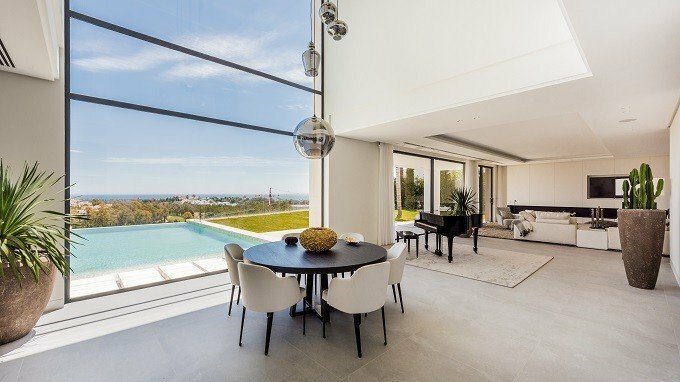 The entrance into the villa on the first floor will provide one of the most amazing features of the villa, the breathtaking views through the double high ceiling panoramic windows. 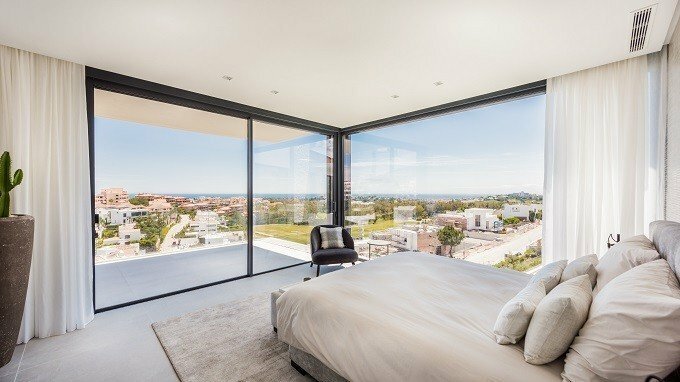 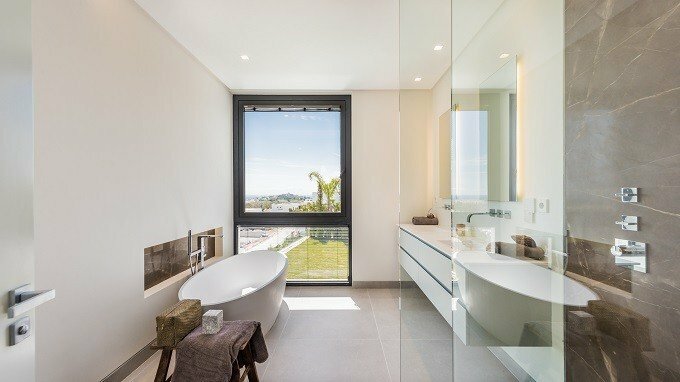 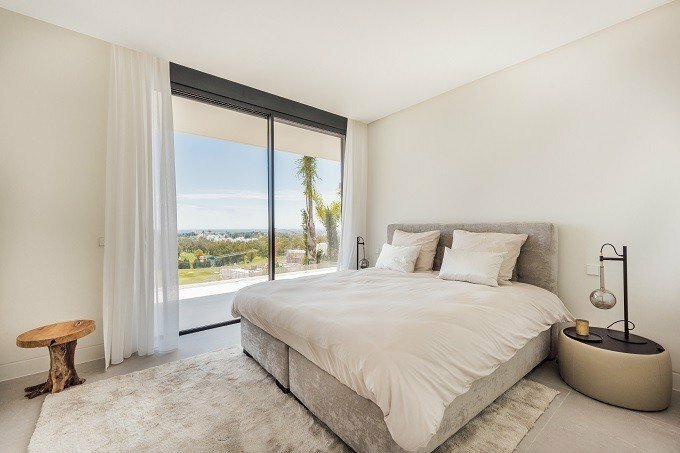 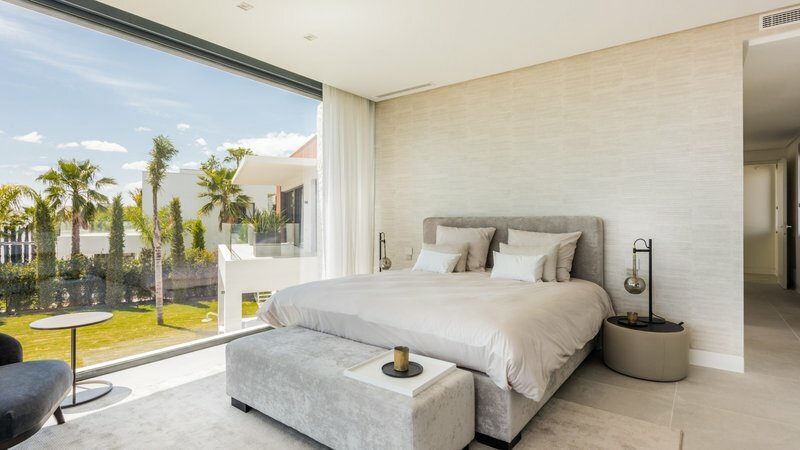 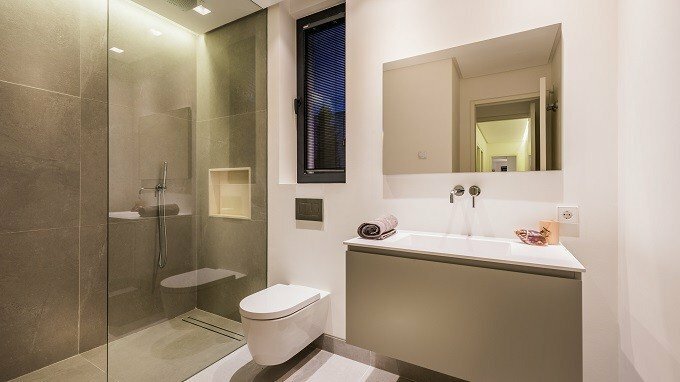 The first floor gives access to the master suite and three more bedrooms all en suite bathrooms with access to the balconies and the spectacular views. 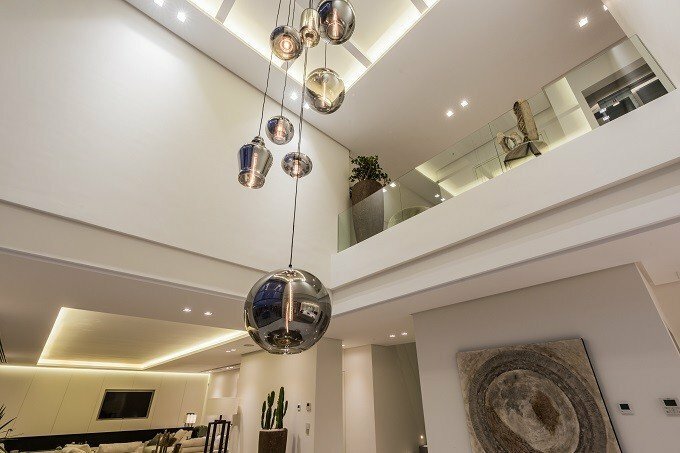 The ground floor level consists of an open plan space combining living, dining and kitchen area. 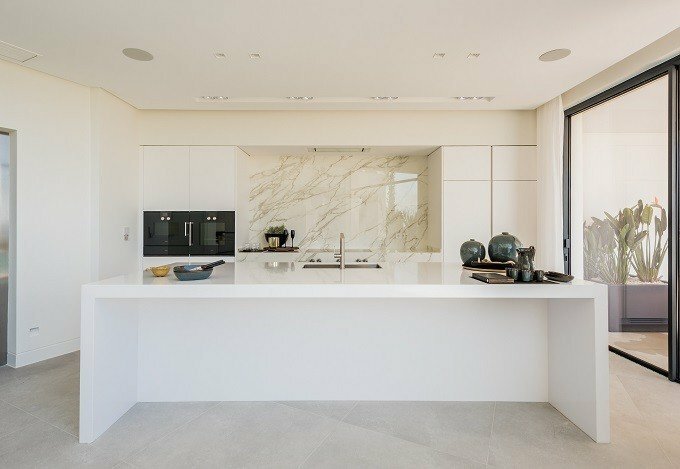 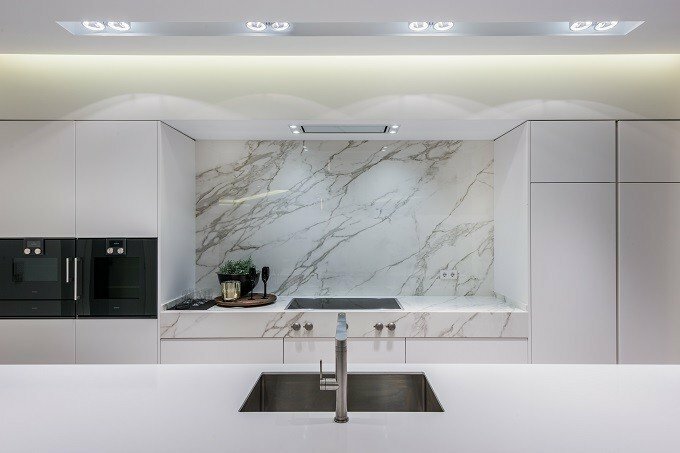 The spacious island kitchen is finished with luxurious Calacatta marble elements and Gaggenau appliances. 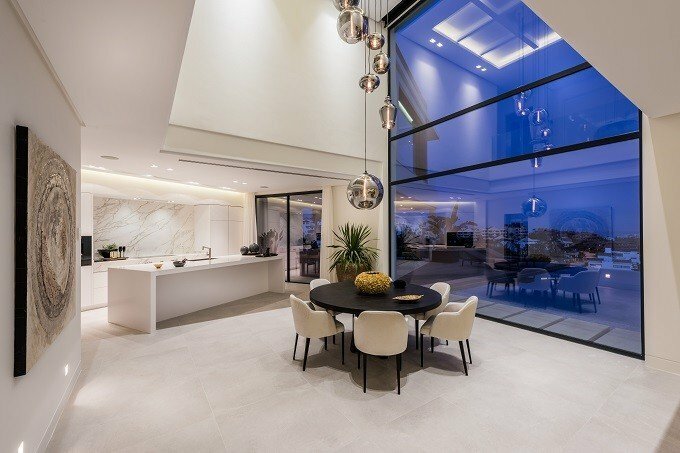 The dining area is set in the impressive double high ceiling space with its floor to ceiling windows enhancing the feeling of space and light. 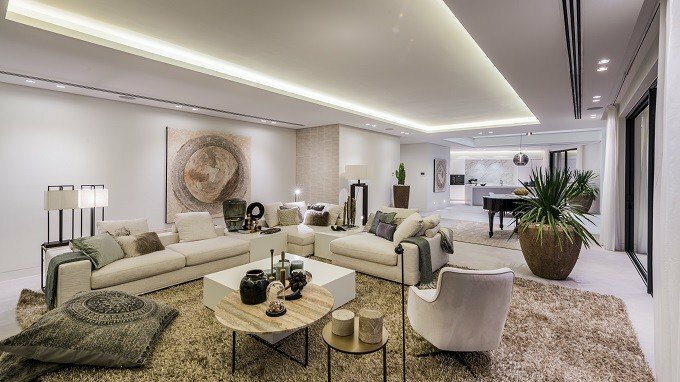 The living area is decorated with wall covering cabinets, integrated Loewe television and a fire place. 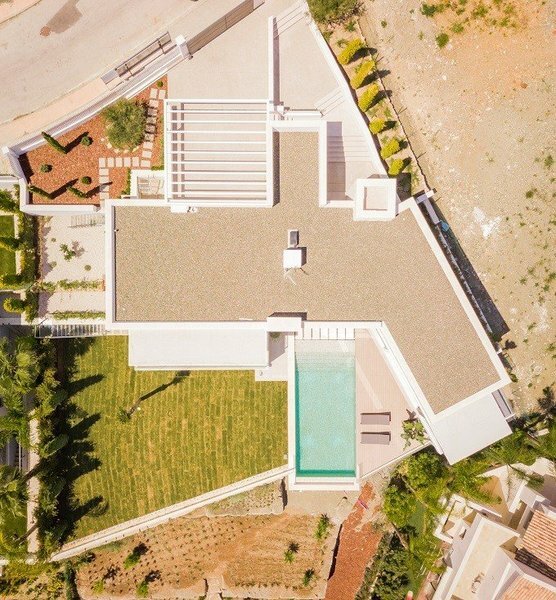 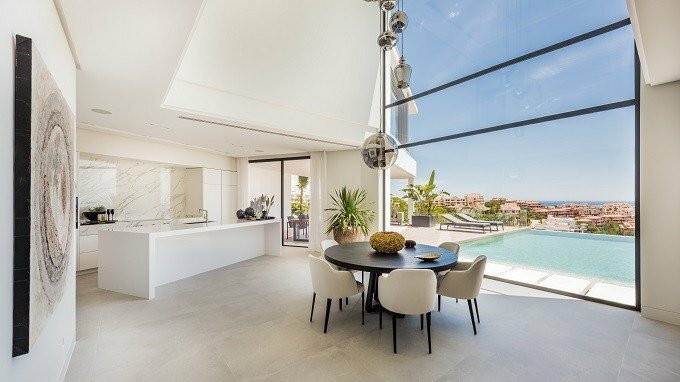 Large covered terraces compliment outdoor living, all overlooking the spectacular infinity pool with garden and stunning views on the golf and Mediterranean. 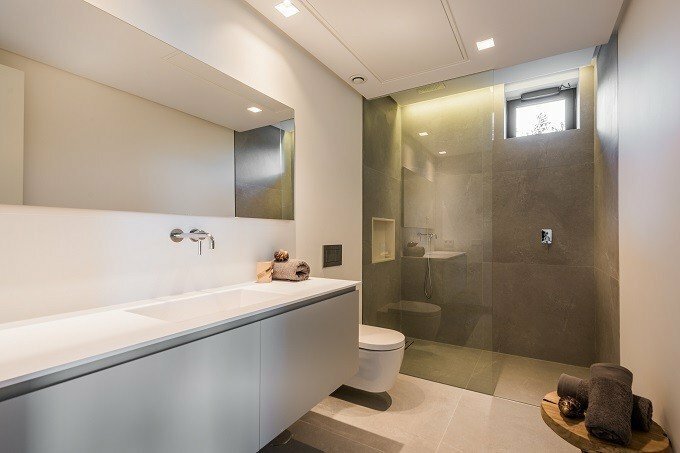 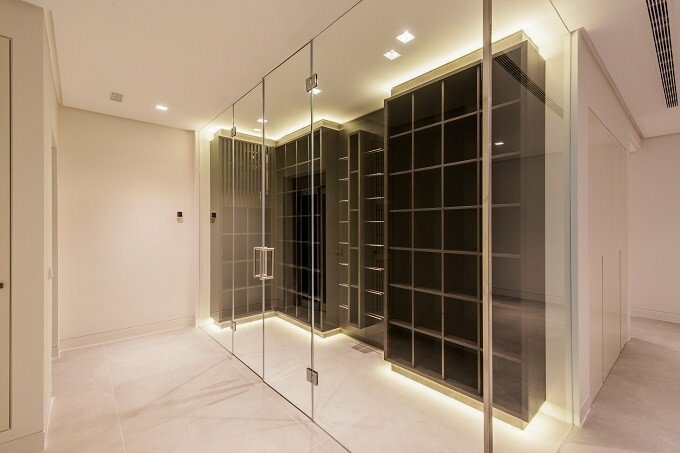 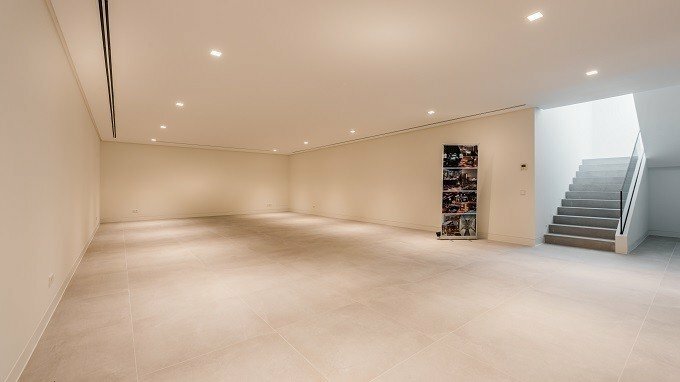 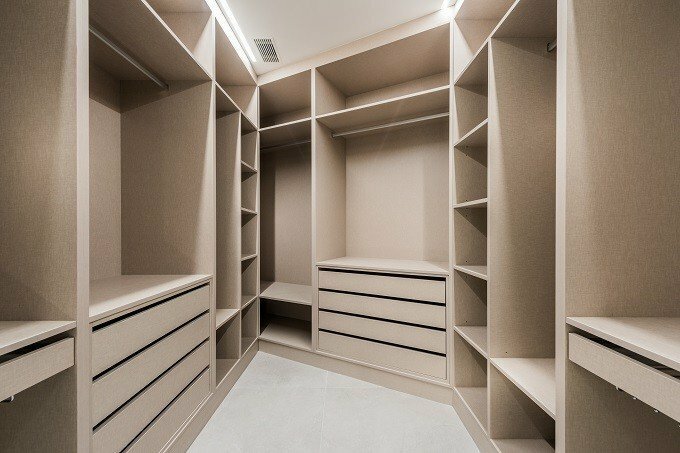 The large basement covers in total built space of 303m2 with climate controlled bodega, technical rooms, laundry room and two more bedrooms with bathroom en suite.